NASSY is an indie-grunge band based out of Boston, MA. 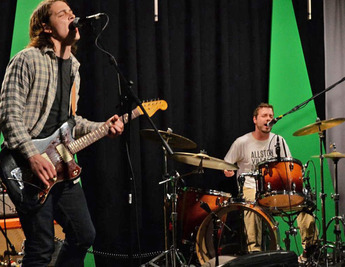 Musically, the band has a sound that’s descended from both 90’s grunge and 00’s math-rock origins. From those foundations, the members take a more modern approach to vocals and build songs that satisfy with both memorable and complex qualities. Watch for this “Noise Gallery” episode coming to LPTV soon.